Compared with five years ago, motorists today are far less comfortable for their full claims history to be used in pricing and most policyholders withhold details of non-claim incidents. So how can the industry rebuild trust around pricing, despite significant investment in improvements to the motor insurance application and quotation process over the last five years? Our recent LexisNexis Risk Solutions survey* of 1,500 motorists has revealed the challenge the motor market is facing in building trust amongst consumers around pricing decisions. It also uncovered the opportunities to address the problem through technology and data. The research found that more than half of the motorists surveyed (58%) said they would not inform their motor insurance provider of a collision or other incident which did not result in a claim. Just one in three consumers would inform their motor insurance provider about a minor non-claim incident involving another vehicle. Interestingly older drivers (55-plus) were least likely to report a non-claim accident, along with those who have not made a claim in the past five years. The conclusion is that, there is a fear amongst motorists that reporting the incident would blemish their insurance record and increase their premium. This is borne out by the fact that while a slight majority of motorists said they would not expect providers to take account of a minor, non-claim incident when pricing insurance, of those who did think there would be an impact on price, 60% would expect premiums to increase. As a further strong indicator of the mistrust and misconceptions around pricing, in 2013, 82% of motorists were happy for full claims history to be used in pricing, but today that figure is just 62%. 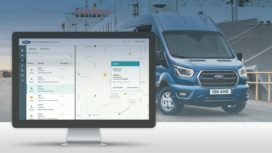 While there has been a drop in the number of drivers willing to share full claims history for pricing, there is general positivity towards the idea of sharing recent claims and driving history plus other relevant data. This is particularly true if it helps reduce fraud rather than improving pricing accuracy. 55% of consumers said they are happy for self-reported data on previous collisions and claims to be shared for pricing purposes, but this rises to 84% if the data is to be used to reduce fraud. The respondents were also positive about how individual driving behaviour data collected by devices or apps could be used for fighting fraud. There was a 20% increase in approval when the data is used for fraud prevention. From all the information which could be shared to help price policies, respondents in the LexisNexis study were most comfortable with the idea of sharing the length of time they have been with an insurer, and any evidence that they have not used a mobile phone while driving. Each of these received positive feedback from 64% of consumer respondents. The study revealed a strong feeling from respondents that they should receive rewards or benefits if they are loyal to one insurance provider. There is a clear sentiment, especially among older consumers, that actual or even anticipated loyalty entitles them to discounts or other incentives. While consumers across the board want their loyalty to be recognised, 91% of in the 55-plus age group agreed with the idea of discounts for loyalty, compared to less than 80% of consumers in both the age groups under 45. It’s worth remembering these older motorists are also least likely to inform their insurance provider about a non-fault claim. More than three in five respondents think discounts should be offered to consumers who are likely to buy multiple products from a provider, and to those people who buy direct from the provider. In addition, 74% think discounts should be offered to consumers who stay with a provider for more than a year. Perhaps most encouragingly, 79% of respondents agree that insurance providers should consider all their previous experiences with an individual consumer, not just current policies, in order to offer a fairer, more accurate price. These insights relate directly to the efforts we, at LexisNexis® have been making, over the past few years to deliver the widest possible view of customer risk to the insurance sector at point of quote, to help inform pricing and deliver the swiftest service to customers, with right first time quotes. Consumers are looking to be rewarded for their loyalty and for fairer premiums. They will spend a large amount of time shopping around and use aggregators to research the current offering and get what they perceive to be the best deal. However, the dual pricing challenges in the motor insurance sector need to be addressed, to curtail the trend of consumers being less willing to share their data, especially valuable previous claims information. Transparency over pricing will help to build trust and improve loyalty, without having to buy it with discounts and special offers.